As you learn more about numerology, you’ll find that you want to know more about your life path and the obstacles you may face. One of the easiest and best ways to go about this is to calculate your birth path number. First, write out your birthday. If your birthday is January 05, 1972, write "01051972." Once you've written this out, add all of the numbers together. In this example, you would add 0+1+0+5+1+9+7+2, and you would get a total of 25. From here, you need to further simplify your number. Add 2+5 to bring the number down to a single digit. Most birth path numbers are single digits, though if your number is 11 or 22, you do not reduce it further. These are considered master numbers and should not be ignored. It’s a good idea to consult a numerologist to ensure that you get the most accurate information possible on your numerology chart. Here, however, are some of the numerology basics. Those who have a birth path number of one are known as independent, strong leaders. Ones can also show negative traits of stubbornness, arrogance, and impatience. Twos are known to be peace lovers and gentle, considerate people. Those with a birth path number of two can also easily become too dependent on others and passive-aggressive. Those with a three are fun and energetic. They are social creatures who love to be around others. On the negative side, they can also be superficial, scattered, and excessive. If you are practical, hardworking, and disciplined, you may be a four. Those with this birth path number are also known to be narrow-minded, stubborn, and argumentative in some cases. Having a five as your birth path number means that you are an idea person. You can easily adapt to situations, no matter what comes up. Fives are sometimes seen as inconsistent and irresponsible when viewed negatively. Loving and trustworthy, those with a birth number of six have a harmonious vibration in their lives. On the negative side, they can be seen as possessive, superficial, and unwilling to change. Those with a seven as their birth path number are deep thinkers who tend to be spiritual. These are quiet people who are intuitive, but they can also be seen as hard to reach and melancholic. Eights are strong, successful, and ambitious people. When viewed negatively, they are seen as materialistic, forceful, and tense. Nines are teachers who are sympathetic and tolerant. When nines are viewed negatively, however, they are seen as moody, emotional, and restless. Eleven and 22 are considered master numbers. If you have the number 11, you are known as a giver and an innovator. You may be seen as manipulative and too dependent on others.Those with 22 as their birth path number are idealists and visionaries, while still being able to keep their head below the clouds. On the other side, those with 22 can be seen as dramatic and destructive. 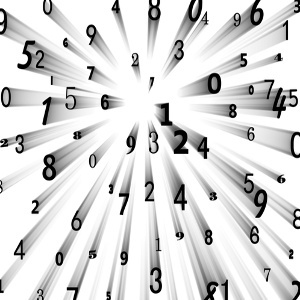 Numerology can reveal many things about your personality and your life path. Consult with an online psychic or a phone psychic to learn more about yourself and your birth path number. Mbeher: psychic Rex - very quick, no waste of time .. very much value for money.. and she is very good. I need to wait to see if the said things come true.I may come back after the events take place. tcabeen: I had a reading yesterday with Harmony. She wasn't able to answer the one main question I asked which was the main reason I called.